Putting my college education to good use. 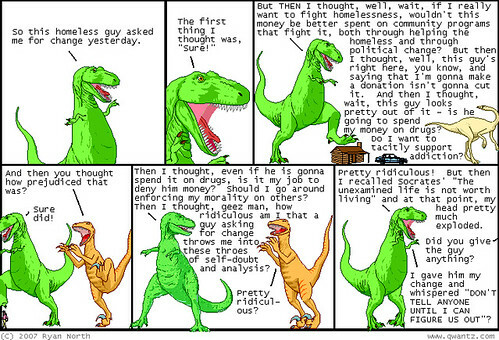 Browsing the archives of Dinosaur Comics, I found this and nearly laughed my pants off because I myself have this same train of thought on a near daily basis. Enjoy! Sanity is often the biggest “cost” in health care. Guns, Germs, Civ, and Clouds.